“Started my voyage into the world of wonderful rums. This website and app are a wonderful tool and resource. A must try/buy rum I know it is expensive but this is truly a wonderful rum and worth saving for if needed or just buying a bottle when you can find one. I love this rum wonderful aroma, even greater in the mouth. This rum blows me away. I need to find another bottle, this one won't last long. very nice blend a slow sipper to get all of the flavors and aromas. Wonderful Solara Rum Smooth, not too sweet and wonderful aroma and taste with a long finish. If you can find it grab a bottle. Sipper not a mixer imo. A wonderful rum Not over powering but smooth wonderful flavors and a lingering finish. I really like this rum. The extra aging in Cognac barrels adds a new complexity to the rum. Sipping it neat now and loving the long finish. My bottle says 18-Year, maybe it is a different bottling of the 1997. 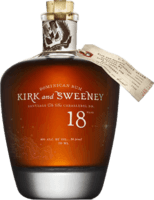 Cask #135 Aged 18 years in bourbon barrels. Pineapple and then a strange medicine aroma and flavor. I kinda like it. Not a bad flavor or smell. 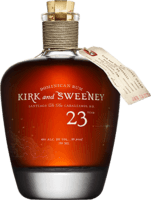 A very smooth and enjoyable rum I was lucky and got this at 1/2 price so I bought two bottles. Delightful aroma and silky smooth. If I see it again for 1/2 price I will get more. Very Enjoyable I tried this for the first time yesterday. I will add more comments after I have tried it a few more times. I don't find this rum too sweet, just right for me I smell slight orange on the nose and I love the long finish and mouth feel. This could become one of my go to rums. Love it neat. Tried the 23 first , working my way down the list ... Great nose and wonderful mouth feel. I would recommend this to my friends. Very enjoyable neat I enjoyed the oak in the nose and in the mouth. I found a surprising cinnamon mouth feel that really impressed me. Love this rum This was my first rum that I fell in love with about 10 years ago. Just enough oak, vanilla, caramel. Nice rum to enjoy neat. smooth and enjoyable sipping neat or with a splash or water. I loved this rum on the rocks. What can I say, I love the coffee aroma and flavor in this rum. Bought a 2nd bottle before the first was empty. Nice rum that won't break the bank. Not too sweet, spicy with a hint of oak. Very pleasant nose that only got better with a few drops of water. A very nice rum A very nice light rum. Not sweet and not over powering. I have been waiting a while to open my bottle but decided no better time like the present. 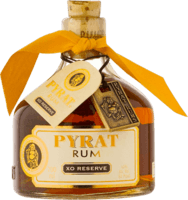 I love the Dicator line of Rums and this is another good rum from them I don't usually go for clear rums but I wanted to try this one from Dicator and I am happy I did. I just wish I could find it more often. A very nice dark rum Great for making Dark and Stormy's but also great on its own. Another great rum, with no sugar added and no color added First sip went down my windpipe LOL. High proof rum with great color and flavor. Similar to batch #1 but I think I like this one just a bit more. Beautiful dark rum Molasses on the nose and taste. Not overly sweet for sipping. Trying to make a Dark and Stormy now with this. Wonderful rum with no sugar or color added I liked their Port finished rum and wanted to give this one a try as well. I like it better than the Port and I really like the Port finished. a very pleasant unsweetened and uncolored rum This is a nice sipper neat. Not overly sweet, only natural sweetness. Great rum mouth feel. I agree this is a very easy to drink Just tried this and this one is more to my liking than the XO. XO is a nice change but this is more what i like in a rum. Never had a rum like this before first time trying this and I can't place the aroma just yet. Not too sweet, great finish and flavors. I will edit this once I have had some more. Nice but not very complex Some alcohol on the nose with notes of vanilla. Smooth on entry with a nice finish. A nice simple but not too sweet sipping rum. Not too sweet and not too smooth I really like this rum. I am getting lots of cinnamon on the nose and it has a great mouth feel for me. Sweet but not over sweet and slow long finish. I like the flavor but this is stronger than I was expecting. Enjoyable sipping rum. Not as smooth as some I have tried but a wonderful flavor. A very good rum This is a nice rum for enjoying neat or with a bit of water added. I enjoyed the flavors too much to add any ice. Another great sipping rum. OK rum but i was expecting more A friend recommended this to me so my hopes where high. Very well balanced rum but not very memorable. 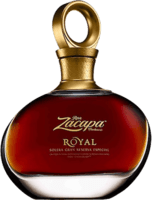 Great rum at a reasonable price Very smooth, everything you would expect in a solera style rum. A smooth clear rum Good enough for sipping and great for mixing. This was a nice find. Solid Rum This should be in everyone's liquor cabinet. Nice with ice or a splash of water and a great mixing rum. I like this but not great. I am trying this neat now but I will try it next time with a little water or ice to see how it changes. I like this but not as much as the 18 or 23 what I like about the 18 and 23 are the amazing nose and great flavor and mouth feel. This one is not as strong but still very enjoyable. Love mixing this with 7-UP Mixing this with 7-UP or a similar soda creates a cream soda flavor. Very refreshing. 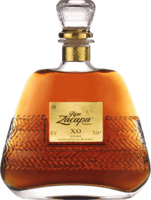 This is a good solid rum, neat or as a mixer I really enjoy this rum when you are looking for something nice but don't want to dip into your special bottles. Neat or on the rocks. A solid rum This is another solid rum from Brugal and is nice on ice but better as a mixer. I had this some years back so my recolection is not fresh but I do remember liking th I wish I could find another bottle of this to refresh my memory but I recall enjoying this and would recommend this to a friend. a nice rum at a good price one of my first rums I tried when getting into rum tasting. I don't think I really appreciated it. I want to get another bottle. Not my favorite spiced rum but .. Better than most of the popular spiced rums but not the best I have tried. Nice rum to float on a drink This has its uses. Worth keeping around for when needed. Good mixer rum This is another rum I use for mixing with cola and Dr. Pepper. Would not drink it neat. A good mixing rum I tried it neat just to get a feel for the flavor. Heavy molasses but interesting and not too bad but i think it will be much better mixed. I am confused about this rum I tried this every way, neat, little water, rocks, mixed and couldn't find a good way to enjoy this. Only for mixing tried this neat .... don't do it, some things you can't untaste. I am sure this would be just find for mixed drinks.